If you’re one of the tens of millions of homeowners in the United States or one of the millions of business owners with a dedicated office space, you may be considering renovations to spruce up your space in the new year. 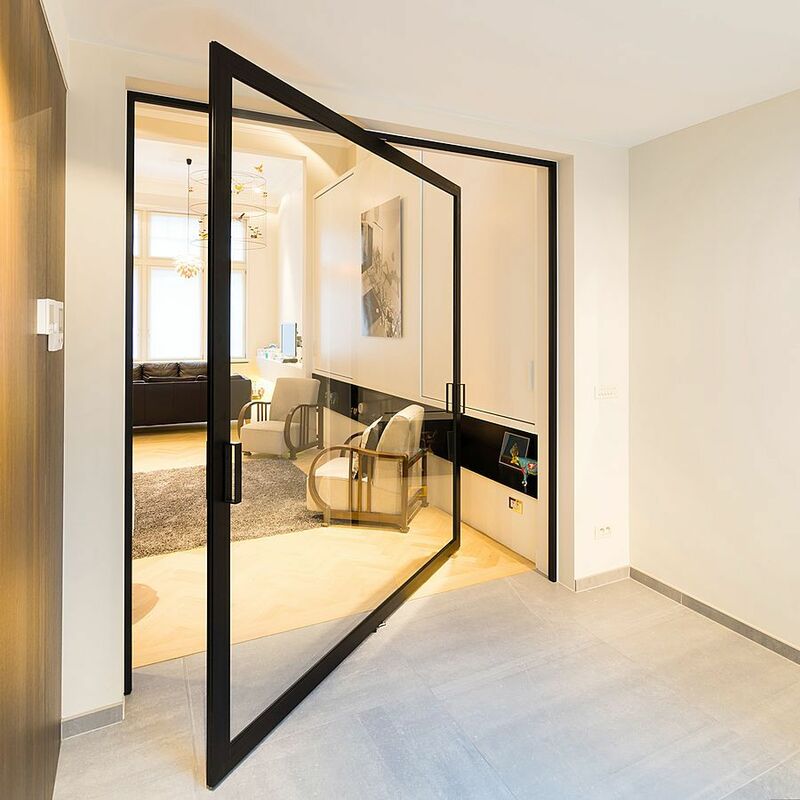 While there are a lot of home or office renovations that can unilaterally improve the quality of an area, boost business, and make your family love where they live, one of our favorite renovations we love to recommend is investing in glass doors. There are many different types of glass doors, all of which carry different effects from both a form and function perspective. Below, our team shares with you our favorite types of glass doors that are worth considering for your next big improvement project. Single hinged doors are the standard when it comes to glass doors. Don’t let their basic appearance fool you though, depending on the glass work you utilize with them, they can completely transform the look of a space. For example, a single hinged glass door that showcases colored glass can add incredible elegance and a modern feel to an area. Alternatively, going with regular glass in your doorway can allow uninhibited light to fill a room! Perhaps one of the most requested types of glass doors is the stunning french door. French doors feel right at home in a modern living space but also look great for those who are going for more of an old-fashion motif. French doors are basically a pair of single hinged glass doors that meet in the center. Their flexibility allows you to either treat them as a standard entryway or open them both and allow unparalleled ventilation and light into your home or office space. If you have a flair for the dramatic, pivot doors are the perfect companion for your taste. Pivot doors rotate on a pivot box which enables doors to swing inward or outward. These doors are commonly used in extra large entryways and scream luxury. Here’s an example of what a pivot door could look like in your home or office. Folding doors make for great exterior access points. They have the unique ability to stack up on a single side which means you can open up a massive entryway into your outdoor space which makes for excellent flexibility when hosting outdoor barbeques or just watching kids play outside. Rounding out our list is the classic sliding glass door. Again, this doorway makes for an excellent access point into an outdoor space. You’ll love sliding glass for their ease of use, ability to bring light into a home or office, and of course the obstructed access they afford when opened! There you have it! 5 types of glass doors to consider for your home or office. If you’re inspired by any of our suggestions above, let our Hesperia, CA team help make your inspiration your reality. From commercial to residential projects, we’ve got all of your glass needs covered. Contact us today for your consultation and to schedule an appointment!